Celebrate another year with Kate Aspen's Personalized 12 oz. Mason Jar Mug with festive Birthday designs! 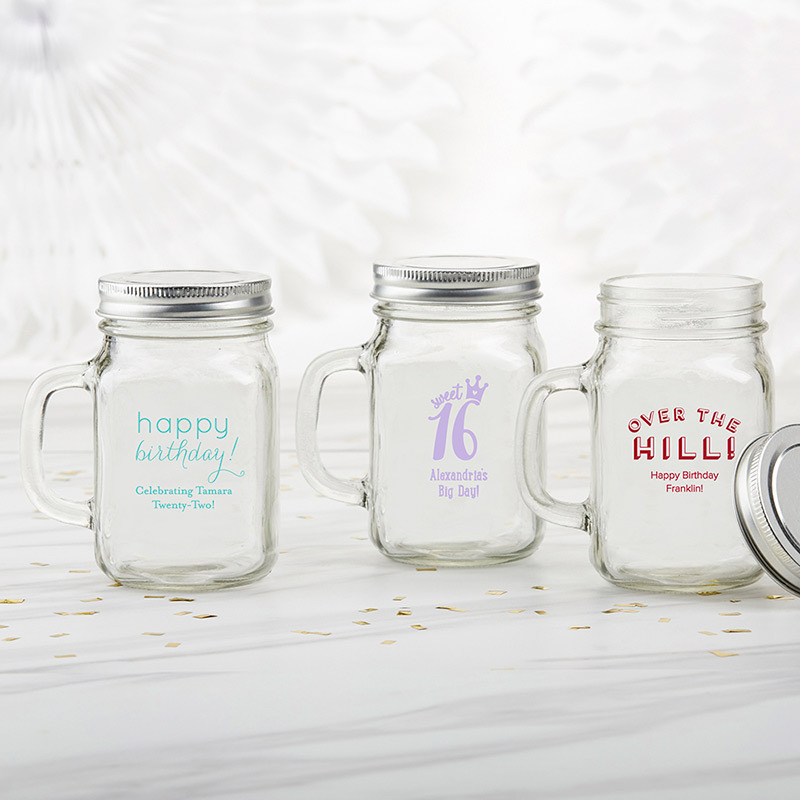 The personalized mason jar mugs feature a handle extending from one side and a silver screw top lid, giving them a true rustic appeal, while your custom birthday design sits front and center on the mug's body. The Personalized 12 oz. Mason Jar Mug holds a full 12 ounces of any favorite beverage, but they're certainly not limited in their use! The mugs may also be filled with flowers, candles, or string lights as part of your décor, or filled with candies or other small favors for an impressive presentation!